Non-native Phragmites australis (haplotype M) is an invasive grass that decreases biodiversity and produces dense stands. We hypothesized that seeds of Phragmites carry microbes that improve seedling growth, defend against pathogens and maximize capacity of seedlings to compete with other plants. We isolated bacteria from seeds of Phragmites, then evaluated representatives for their capacities to become intracellular in root cells, and their effects on: 1.) germination rates and seedling growth, 2.) susceptibility to damping-off disease, and 3.) 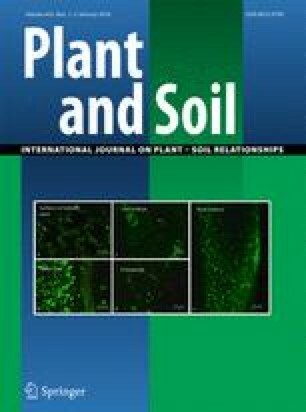 mortality and growth of competitor plant seedlings (dandelion (Taraxacum officionale F. H. Wigg) and curly dock (Rumex crispus L.)). Ten strains (of 23 total) were identified and characterized; seven were identified as Pseudomonas spp. Strains Sandy LB4 (Pseudomonas fluorescens) and West 9 (Pseudomonas sp.) entered root meristems and became intracellular. These bacteria improved seed germination in Phragmites and increased seedling root branching in Poa annua. They increased plant growth and protected plants from damping off disease. Sandy LB4 increased mortality and reduced growth rates in seedlings of dandelion and curly dock. Phragmites plants associate with endophytes to increase growth and disease resistance, and release bacteria into the soil to create an environment that is favorable to their seedlings and less favorable to competitor plants. The authors are grateful for support from the John E. and Christina C. Craighead Foundation, USDA-NIFA Multistate Project W3147, the New Jersey Agricultural Experiment Station, the United States Geological Survey Cooperative Ecosystems Study Unit Agreement G13 AC00291, the Federal University of Mato Grosso (UFMT), The Brazilian National Council for Scientific and Technological Development (CNPq) for Post-doctoral Fellowship and the International Institute of Science and Technology in Wetlands (INAU). Any use of trade, product, or firm names is for descriptive purposes only and does not imply endorsement by the U.S. Government.